How do you usually travel to the Black Rock Village? In your opinion, what makes Black Rock Village unique? Which phrases best describe your vision for Black Rock Village? Select up to five phrases. What are your ideas to improve Black Rock Village? Which of these features are most important to you? Drag and drop your preferences in order of importance. Select only those that are important to you. What changes should be made to the laneways (behind the shops) to encourage use? Do you have any comments on the materials and designs shown in this photo? 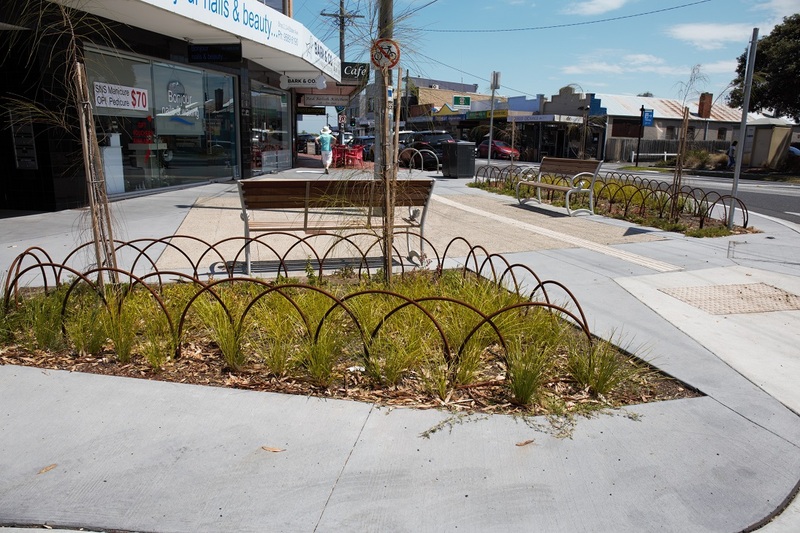 This photo of the Ebden Avenue corner shows proposed paving style, seating style, rubbish bins, bicycle hoops and garden beds. Are there any other important physical features we should consider? Put a pin on the map to highlight something you love, describe an issue or suggest something new or different. Click on the icons on the left hand side of the map.